Some screenshots of using TCE (thanks to Perttu Salmela, a TTA researcher in our department). 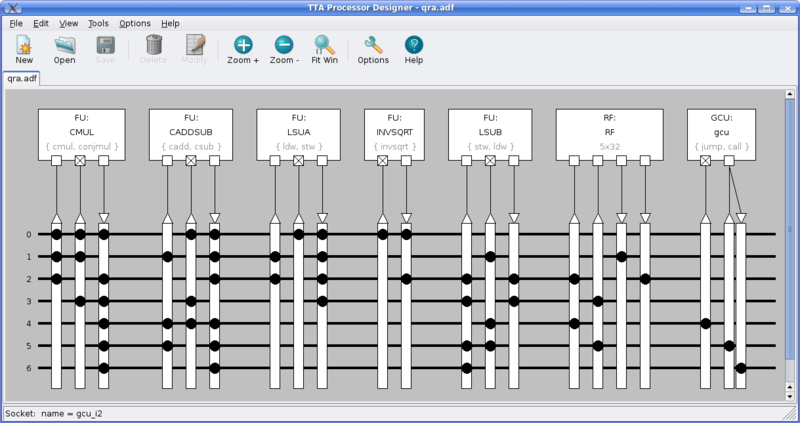 Creating a new TTA processor design using the graphical Processor Designer (AKA ProDe) tool. This architecture has several function units with custom operations for complex number arithmetics and inverted square root, two load-store units, a register file with five 32 bit registers, a control unit with jump and call control flow operations, and an optimized (partially connected) interconnection network. Tracking a nasty bug in an hand coded parallel TTA program using the Processor Simulator GUI (AKA Proxim). 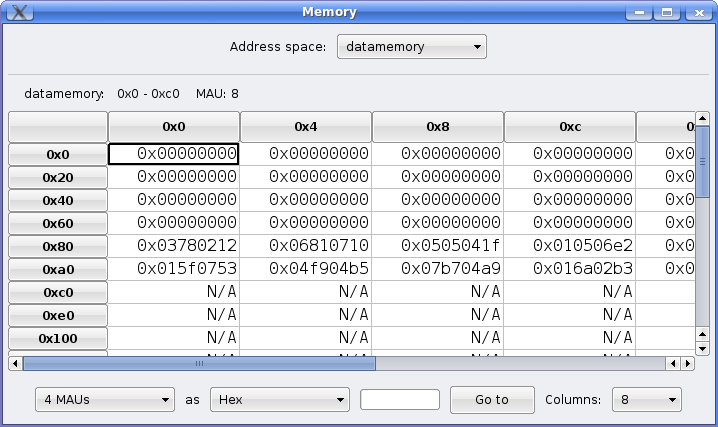 Inspecting the processor's data memory contents during simulation. Single-stepping a program using the command 'stepi' of the simulator script interpreter console. Figuring out the most heavily utilized architecture components using colorized component utilization visualization. Custom operations are added to TCE using a tool called Operation Set Editor (OSEd). The operation definitions of custom functionality are defined to the exact same database as "basic operations" such as addition or subtraction, or the "base operation set", a set of useful operations that is shipped with the TCE installation. 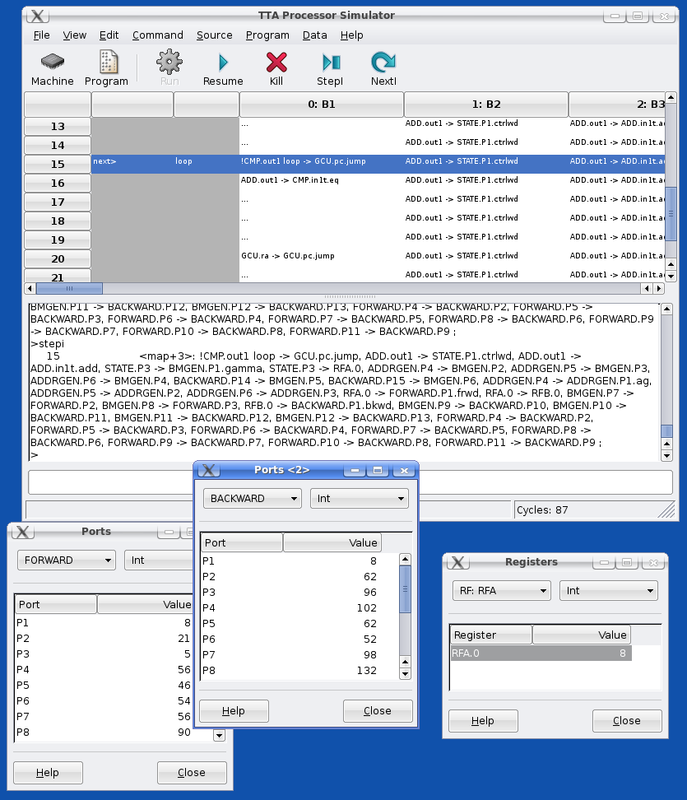 Implementation data of the architecture components is stored in so called Hardware Database (HDB) files and edited with the HDBEditor tool. These databases contain the necessary information about the implementations for components (register files, function units) that is needed in order to generate the final HDL implementation of the processor. In addition, the database contains cost estimation data required by the processor cost estimation algorithms. Finally, after a VHDL has been generated by the Processor Generator (ProGe) and the bit image of the program is dumped with Program Image Generator (PIG), the implementation of the processor can be simulated with any VHDL simulator such as ModelSimTM or the free VHDL simulator GHDL. The longer TCE tour screencast is split to multiple shorter video clips found below. The videos are coded with Ogg Theora (ogv). In Windows and Mac, for example, the VLC media player supports them out of the box. In Linux, any media player should probably play them without problems. 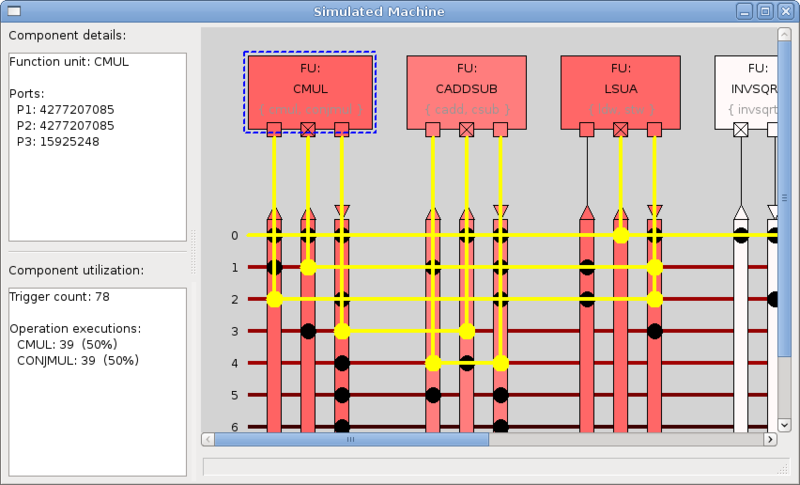 Introduces the basic tools in TCE such as the Processor Designer, the compiler and the simulator. 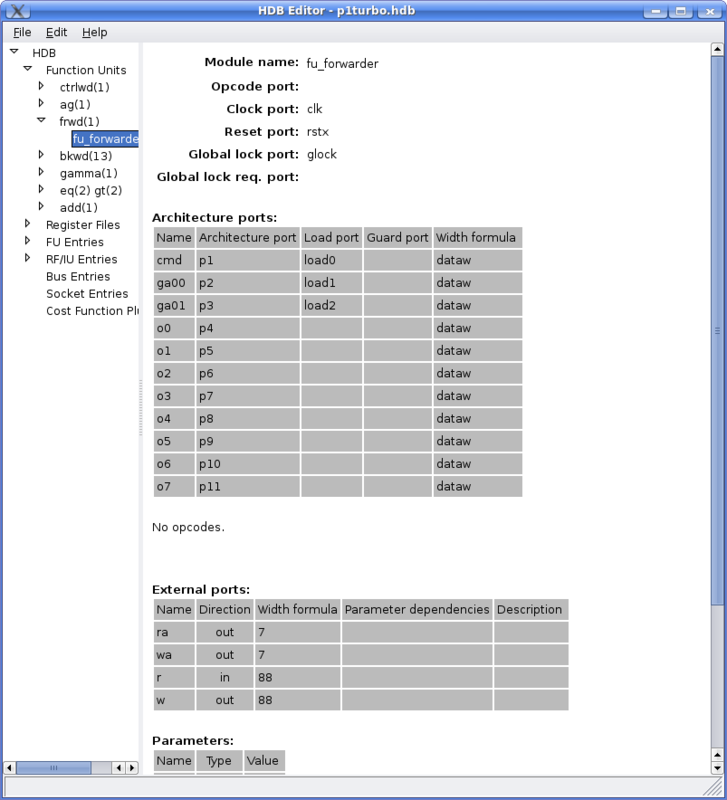 Shows how the program can be profiled using the simulator to find "hot spots" which can be accelerated with custom operations. Then shows how to add custom operation definitions to TCE. Adding a "special function unit" to our TTA which supports the custom operation we defined. Also shows how to execute the custom operation from C code. The special function unit needs to be implemented in VHDL in order to generate processors which use it. In this video, a previously implemented VHDL implementation of the function unit is added to a Hardware Database (HDB). 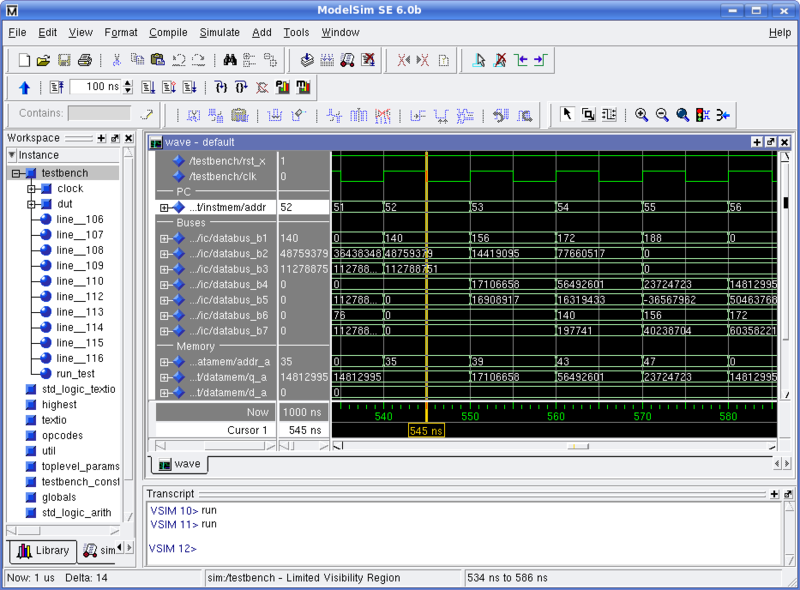 The Processor Generator (ProGe) is used to produce a VHDL implementation of the TTA processor. Because we want to synthesize the generated processor to a Stratix FPGA, the load-store unit is changed to one that is able to access memories and peripherals connected through the Avalon bus. In order to produce verification output in the FPGA implementation, we add code that uses an LCD for printing the checksum and the source text. In this video, the bit image of the program memory is produced, the VHDL of the TTA is added to a system design in SOPC builder, and the design is synthesized to the FPGA.